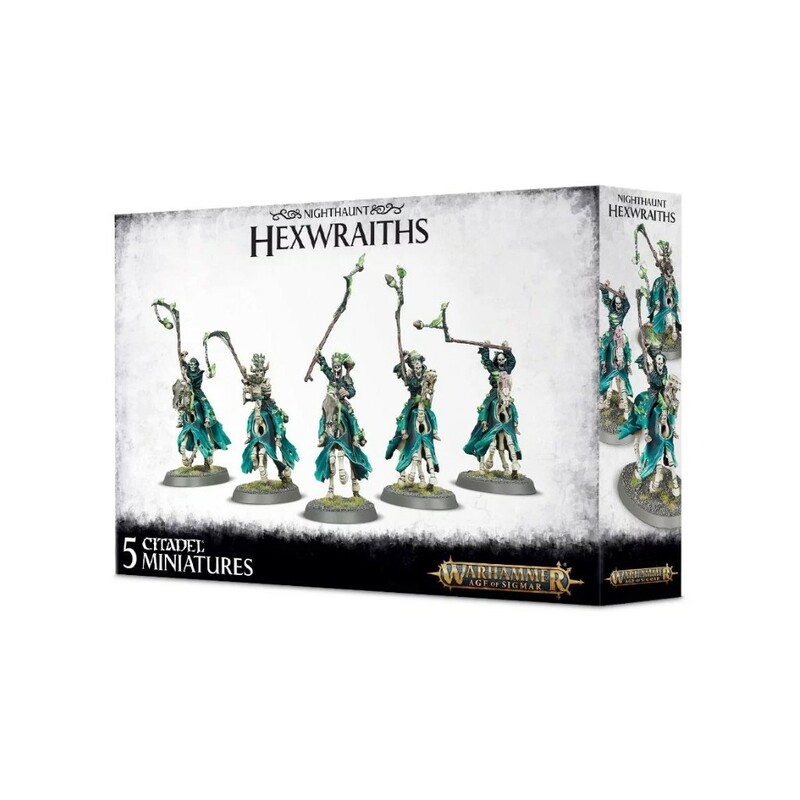 This multi-part plastic set contains 91 components and five 25x50mm cavalry bases to construct five Black Knights or five Hexwraiths. The Black Knights ride to war at the side of their Wight King. They are the princes and nobles of his kingdom, each utterly dedicated to the commands of their lord as only the dead can be.